LA Photo: Swine Flu Not in L.A., Yet. 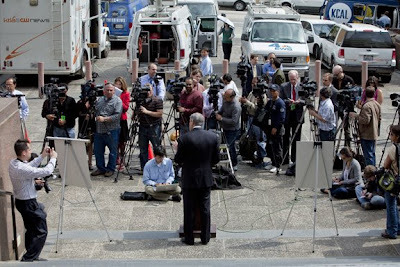 Dr Jonathan Fielding, L.A. County Director of Public Health, held a press conference on the steps of the L.A. Hall of Administration about the swine flu. Dr. 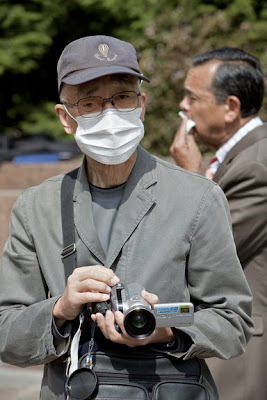 Fielding stated "there are definitely no cases of the swine flu (in L.A.) at this point." He also said his department is investigating two possible cases of the swine flu though. Dr. Fielding also gave basic instructions to the public to combat the flu. They include frequent hand washing, for the length of time it takes to sing either the "A-B-C" or the "Happy Birthday" song twice, with hot soapy water. He also said to avoid touching touching ones eyes, nose, or mouth. 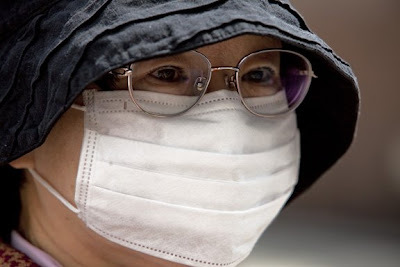 The wearing of surgical mask in public will provide little or no protection to the flu according to Dr. Fielding. The Dr. also sees no reason for Angelenos to avoid next week's Cinco de Mayo celebrations and marches.